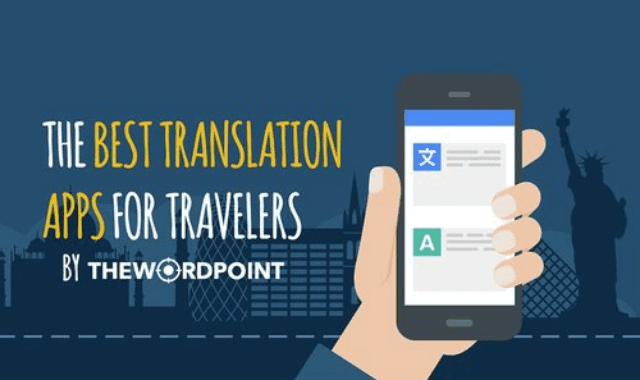 The Best Translation Apps for Travelers #Infographic ~ Visualistan '+g+"
There are quite a lot of travelers with little to no knowledge of languages other than their own. This can make mutual understanding and communication quite difficult no matter where they travel. While the majority of the world is familiar with English language as a means of communication, many still prefer to use other means to find their way around. Enter the translation apps which can be used on smartphones. These apps allow people to find their way around other countries, interact with local population and learn a little more about the country they are visiting. The good people at The Word Point have conducted a thorough vetting of these translation apps and found several representative examples which you can check out for yourself. With such a huge choice of translation apps, how can you narrow your search down to the right one? The only way to do so is to check each app for its pros and cons based on personal criteria. No app is perfect in itself, but it can be perfect for your individual needs.